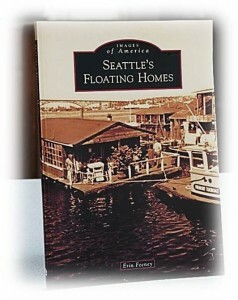 More about the rich and colorful history of floating homes and how we have become an integral part of the tapestry of Seattle can be explored further in the links and publications below. The Floating Home community exist in a unique fresh water lake nestled in the heart of a major city where both residential and industrial coexist in harmony to give day to day life a one of a kind feel. You can learn more on the components that make up our unique lifestyle by viewing these videos from the Lake Union Virtual Museum.